Twist metal bottle caps, quite annoying little things I find. I found out today, that placing loose metal bottle caps into the recycling bin, probably isn't the best thing to do. According to an article on Planet Ark, steel metal caps can indeed be recycled, but, loose bottle tops are actually too small to go through sorting machines. 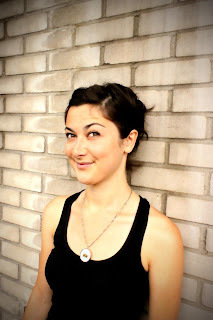 It seems though, there are ways to upcycle metal bottle caps into something pretty, as Laura Cohen, from Montreal in Canada demonstrates with her online jewellery shop Pretty Caps. "I am an artist from Montreal who enjoys finding innovative ways to reappropriate bottle caps from around the world into fashion accessories" Laura, Pretty Caps. Laura makes quirky little pieces out of collected caps, including magnets, necklaces, earrings, brooches, pendants and rings. She sent me a gorgeous pair of earrings to try out. 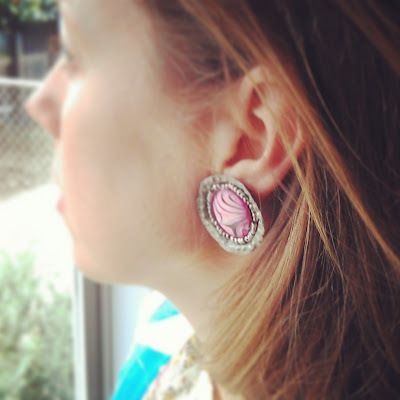 She calls these earrings 'Clip-on Candy Caps', handmade with seashells and Eastern European bottle caps (Latvian, German, Russian, Estonian). Fun, eco-friendly, and can be worn with or without ear piercings. I have a pair of these little pretties to giveaway to one Recycled Fashion reader, to enter, pop by Pretty Caps on facebook and give Laura's page a little 'like'. Browse Pretty Caps on Etsy, and leave a comment below with which Pretty Cap creation is your favourite and why. Competition is open to worldwide readers, and will close on 26th June 2013. WOW, who would have thought a bottle cap could look so pretty! Laura's work is fab! I love the Retro bottle cap pendant, so original. The bronze hoops and necklace are so cool - vintage, steampunk, and rock and roll all at the same time. I'm not on facebook, so I can't like their page. FB fan (Birgit Lehner) and I really like the Regency victorian brooch, because I love its unique vintage style! 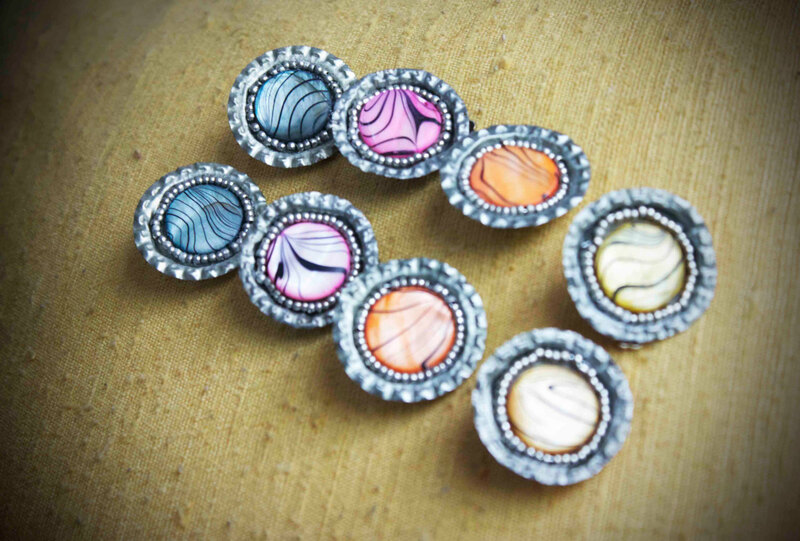 Love the Clip-on bottle cap earrings from Eastern Europe/ striped seashell centre/ multicoloured retro earrings! My favorite is the preppy dog broach because my friend drinks nothing but reddog! My favorite is the Clip-on bottle cap earings striped seashell centre in blue colour-perfect for summer! The color is very beautiful! Thank you for the chance to win. My favorite earrings on the Etsy page are the "Beautiful statement piece / mixed metalwork earrings / bottle cap rims / silver bronze gun metal colour"
Why? Because the colors are very beautiful and they are so cute! Liked her facebook page as Brey babycakes. I liked her face book page as Brey Babycakes.